Feel the calm of an escape to nature with the cabin style of this Cocklebur wood and metal decorative oar. 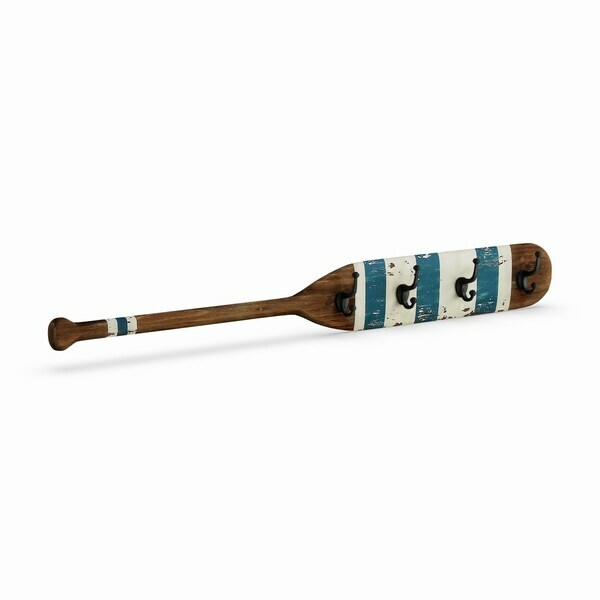 Incorporating contrast with blue and white painted designs, this classic oar has a quaint feeling that adds an updated coastal style to your living room. Very nice oar with hooks. We placed the oar over a love seat and hung decorative nautical ornaments from the hooks. Fits in well with our theme in a shore house family room. Very nice, and perfect for my newly painted laundry room! Great for hanging robes, coats, etc. Really pleased with it!